This stalwart for high-end dining in Saratoga offers contemporary California cuisine. : Venetian plaster, curved walls and soft lighting create a romantic ambience in the dining room, while a blazing fire and comfortable lounge-bar offer a bright and casual environment for a far-from-casual meal. Local influences season the menu, from Santa Cruz sparkling wines included on the Champagne cart to the California-farmed Tsar Nicoulai caviar. A seven-course tasting menu is the best way to experience chef and co-owner Peter Armellino’s craft. Black pepper and Parmesan soufflé with uni and Dungeness crab fondue is the don’t-miss dish. Local rabbit and South Texas antelope prepared several ways offer creative primary proteins without gaminess. Two courses of desserts, not including the palate-cleansing fresh fruit sorbet, are as well thought out and plated as the entrées, as in the vanilla semifreddo, Italian meringue, passion fruit and olive oil curd. 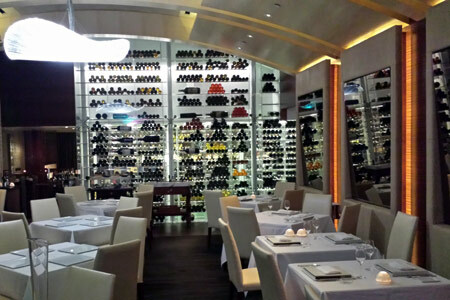 The wine list is exceptional and world-ranging, and we’d opt to choose one special bottle over the wine flights as the selection of the former far exceeds the latter.